Storyville and this golden age of documentary film making. The BBC4 documentary strand Storyville isn’t part of what is clearly a golden age of documentary film making, it’s the principle driving force responsible for bringing this age into being. Since kicking off in 2007-08, Storyville has helped fund over one hundred documentaries, each one even more impressive than the last. In the 2013-14 season there was The Gatekeepers where we heard from the last six heads of the Israeli secret service, the Shin Bet, reviewed earlier here. 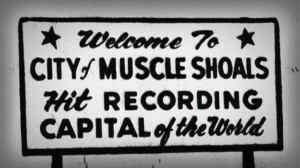 Plus the mythic Muscle Shoals: The Greatest Recording studio in the World, reviewed earlier here, and the fascinating Google and the World Brain on Google’s attempt to digitize the world’s books, and what that might mean for the rest of us. And then there was the absolutely riveting The House I Live In, on America’s doomed war on drugs, and the way that their whole penal system has become little more than an elaborate excuse for institutionalised racism, reviewed earlier here. 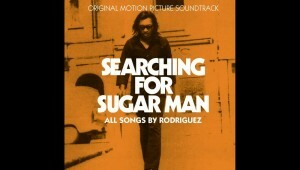 Then in 2014-15 there was Mugabe and the Democrats, the surprisingly moving Particle Fever: The Hunt for the Higgs Boson, and the majestic Searching For Sugar Man about the genuinely extraordinary singer Rodriguez, reviewed earlier here. 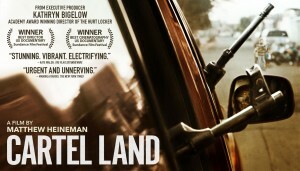 Cartel Land brings vividly to life quite how unimaginable life in Mexico has become. When his three neighbours are beheaded by one of the local drug cartels, the local doctor Jose Mireles decides it’s time to take the law into his own hands. So he and a few of his similarly desperate neighbours take up arms and set up the autodefensas. And within a few weeks, he and his civic minded vigilantes are moving through the state, convincing citizens from village to village to join them, take up arms, and defend themselves against the marauding cartels. Without wishing in any way to spoil the story, what happens next is all too predictable. It is staggering to witness quite how corrupt Mexico has become, at every conceivable level, from top to bottom. And quite how impossible it seems to be to free yourself from it. And although on the surface this isn’t a depressing film, the more you think about it, and you will think about it, the more dispiriting a place the world seems to have become. A sober Amos Oz listens to his younger self. The six-day war: Censored Voices is very much a companion piece to The Gatekeepers above. 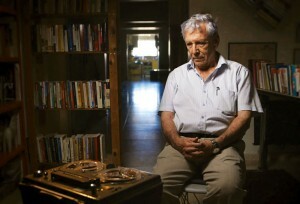 When the celebrated novelist Amos Oz came back to the Kibbutz where he lived for so much of his life after fighting in the 6 day war, he and his fellow soldiers were so conflicted by what they had just been a part of, that they each recorded a series of interviews with one another so that they could air and explore that unease. The basic question they asked themselves was, how can what was supposed to have been a defensive war result in the mass deportation of tens of thousands of people from their land? Nearly half a century later, we watch as the elderly men listen to what their thoughts had been barely ten days after what many people at the time were celebrating as Israel’s finest hour. FBI Undercover seems like an innocuous enough tale. We follow one of the many very ordinary, and completely unqualified people recruited by the FBI after September 11th to root out terrorism. And then we follow the Muslim man he has been sent to trap. And suddenly, without anything actually happening, a young man’s life has been completely ruined. If you’ve ever wondered how Daesh manages to attract its recruits, this will go some way to help explaining it. 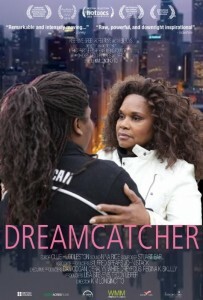 And finally, Dreamcatcher: Surviving Chicago’s Streets follows a reformed prostitute as she walks the streets of Chicago bringing life-saving succour to her former colleagues. Which sounds hopelessly earnest and horribly dull, but is in fact incredibly moving. Brenda Myers-Powell is quite simply a living saint. So often documentaries feel like something you ought to watch rather than something you’d like to watch. In reality, all of the above are unmissable. And if you can’t access the BBC iPlayer, get yourself a VPN. It will take about 10 minutes to set up, but once it’s done you’re set. I use SaturnVPN. It’ll cost you no more than about $20 a year. It’s like Netflix for the intellectually curious. It’s the best investment you’ll make all year. You can see the trailer for The Six-day War:Censored Voices here. Sign up for a subscription right or below, and I shall keep you posted every month on all the very best and worst in film, television and music! Subscribe here for regular updates. 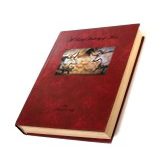 And get your FREE GIFT of the first 2 chapters of my book, A Brief History Of Man. Excellent piece. Couldn’t agree more Anthony. As you say, doc­u­men­taries often feel like some­thing we “ought” to watch rather than some­thing we really want to watch” But as you also say, the Storyville series are utterly compelling. VPN is a good tip, but another option for catching them of course is simply to watch on BBC. (That won’t help with past editions of course, but with the upcoming ones, people will catch them all, for free) . If anyone has a set top box with their cable, (Sky or UPC or whatnot)- they can set to “Record All” on their hard drive, then watch later at their leisure. Thank you for that sir! Keep reading – and watching! A.